Voltage controlled West Coast style wavefolder. Switchable harmonically rich sine wave. 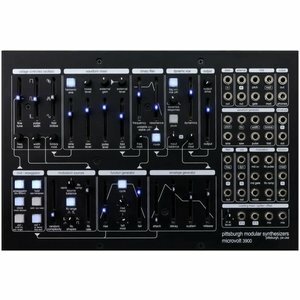 External preamp with independent 30x gain and output level controls. 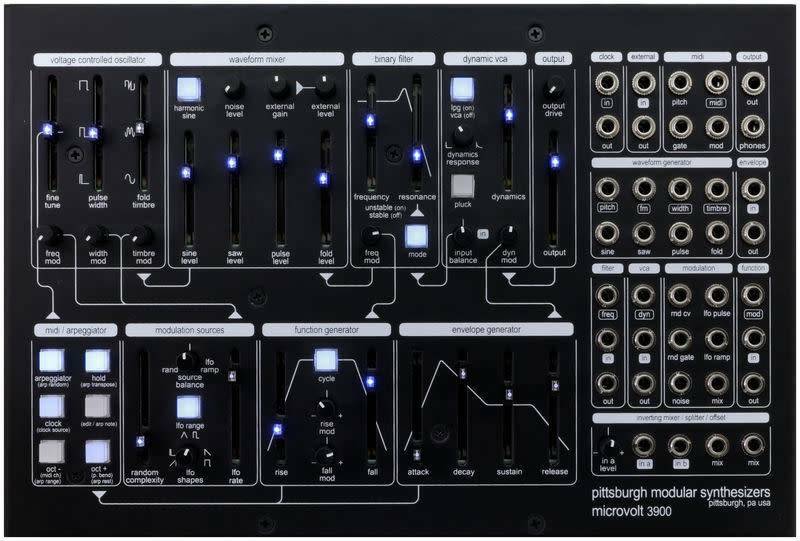 Classic Pittsburgh Modular low pass filter with extended resonance. 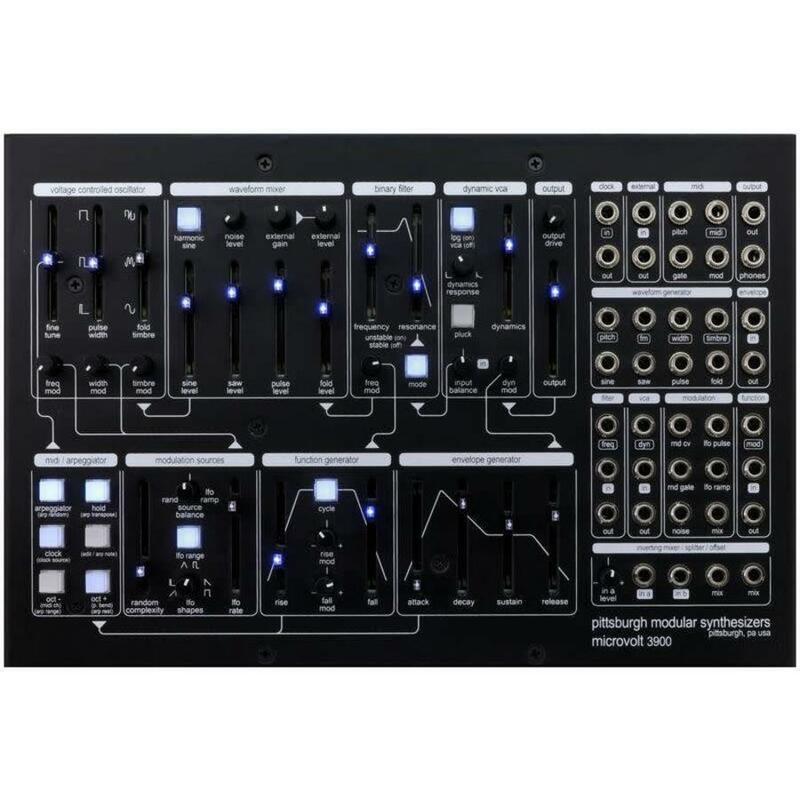 Dynamic VCA with standard VCA and dynamic low pass gate modes. Chaotic random CV and gate generator. Multi-tasking function generator works as a voltage controlled envelope, LFO, and oscillator. Highly tuned ADSR envelope generator. 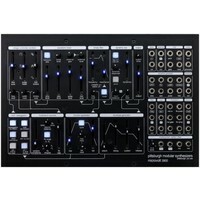 39-point Eurorack format compatible patch bay. Powder coated steel and walnut construction. Dimensions: 10.375" x 7" x 1.875"